In August, the Pune Police had raided and arrested two others Gautam Navlakha (now released) and P. Varavara Rao (currently under house arrest in Hyderabad), besides Bharadwaj, Gonsalves and Ferreira. PUNE: A special Court sent three activists -- Sudha Bharadwaj, Vernon S. Gonsalves and Arun T. Ferreira -- to judicial custody for 14 days in the Koregaon-Bhima caste riots case. The three accused, first arrested on August 28 and kept under house arrest as per Supreme Court orders, were re-arrested on October 26 after their bail pleas were rejected. They were produced before the Special Court today which sent them to police custody. During the hearing today, accused Ferreira claimed he was allegedly assaulted by police during his custodial interrogation in the past 10 days. The three are among the prime accused in the cases related to the Elgar Parishad of December 31, 2017, leading to the Koregaon-Bhima caste riots of January 1 this year. 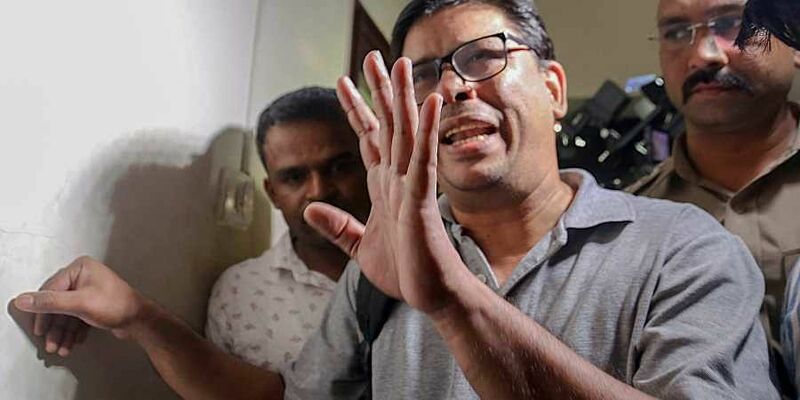 Earlier in June, the Pune Police carried out nationwide raids to nab human rights activists Rona Wilson, Sudhir Dhawale, Shoma Sen, Surendra Gadling and Mahesh Raut in the same case. Besides the Koregaon-Bhima violence, the police charged the accused with having links with Maoist and Kashmiri terror groups, hatching a conspiracy to carry out a high-level political assassination in a 'Rajiv Gandhi-style operation', procuring arms and ammunition, seeking to incite disturbances and violence in the country to topple the democratically elected government.